Cruiser Motorcycles Harley-Davidson, Yamaha, Honda, And More! We need cruiser motorcycles and we’re paying top dollar for your late model used cruiser motorcycle. If you have a cruiser motorcycle that you’re no longer riding or want to sell for any reason, let us know. We want to buy all of the cruiser motorcycles we possibly can. In addition, we will travel to you to buy your motorcycle and when we get there we’ll pay top dollar for your bike. What are we buying? We’re buying all makes and all models of cruiser motorcycles. Is your cruiser custom or stock? We want all cruisers including those that are customized or those that have been left in the factory stock condition. Don’t sit there with a bike you can’t ride or are having trouble selling. We want to buy your cruiser motorcycle from you today. Also, we buy these AND MORE. Please fill out the form below if you would like a Free Quote on your Cruiser. Harley-Davidson is the American classic and is always in demand. Founded in 1903, and incorporated in 1907, this American icon has been a symbol to bike owners all over the country. Creating bikes with their air-cooled V-Twin engines and unique look, to this day Harley-Davidson is one of the most popular brands on the road. Because of the popularity of Harley-Davidson there is always a need for used ones. Sell yours today and get the money you deserve! In 1996 Yamaha introduced their luxury type line uip of cruiser motorcycles, the Star line. The Star line help to distinguish Yamaha’s bikes from the rest. 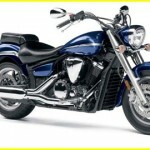 In addition, the Yamaha Star line has over 20 different cruiser models. With unique styling and power, Yamaha cruisers are always in high demand. Honda, in many ways is credited with the success of the cruiser type bike. In the late 60’s Harley-Davidson was struggling and most motorcycles were British made. Until Honda introduced the CB750/four in 1968. From then on the popular Honda bike and its models were a huge success. Today, Honda motorcycles are a great ride and a popular brand. Also, the Shadow models are a huge seller to this day. In 1985, Kowasaki launched it’s Vulcan 750. Over the years the Vulcan line up became a very popular motorcycle for Kowasaki. Today there are many models of the Vulcan line up, such as the Vulcan 1700 Voyager, Vulcan 1700 Vaquero, Vulcan S, and many more. Of course, with a rich history of innovation and comfortable rides, a Kowasaki bike is always in high demand. With along rich history, Suzuki motorcycles have been around for quite sometime. The Suzuki Boulevard cruiser is one of the best in its class. In 2005 Suzuki removed all the various cruiser models and combined them all into the Boulevard line. Each bike wiould get a letter model, so the S model was their standard, the C series was classically styled. Also the M series was for the high perfromance models. Suzuki is a respected brand all over the world and we are always looking to buy Suzuki cruisers, sell yours today!